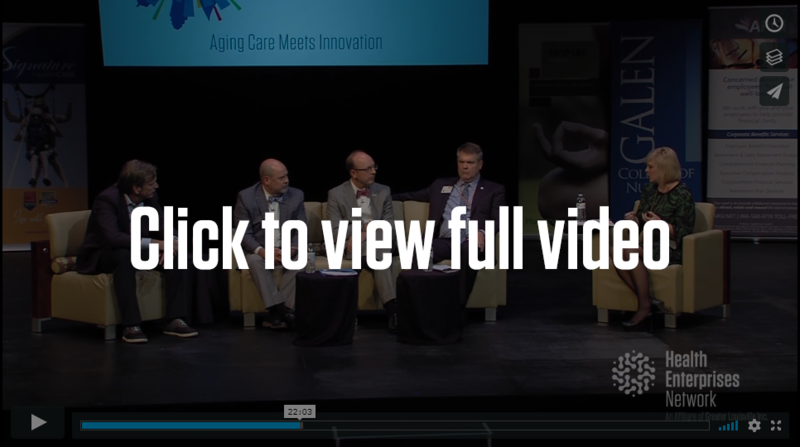 In a panel discussion, Louisville Healthcare CEOs share what they envision for the area and why they are committed to working together to get Louisville the recognition it deserves as the national epicenter for aging care innovation. Industry top leaders lift the veil to reveal the surprising details about the future of the healthcare labor market in the region. National workforce expert, Matt Stevenson, shares Mercer’s analysis of healthcare labor demand in Kentucky, and give custom strategies to build a future-ready workforce. Top talent leaders uncover the workforce challenges facing their organizations, and how predictive analytics can engineer tailored solutions. Typically, event videos are only available to HEN members. But we’ve decided to make the FULL VIDEO public and shareable! This discussion on building and attracting healthcare talent has some really valuable information, and we want EVERYONE to be tuned in! In order to create care that is safe, effective, efficient and patient-focused, clinical integration is needed to ease the coordination of patient care across conditions, providers, settings, and time. By promoting changes in provider culture, redesigning payment methods and incentives, and modernizing federal laws, clinical integration is achievable. Hospitals are taking more aggressive privacy and security measures to protect and safeguard patient data. Top growth areas in security among organizations include privacy audit systems, provisioning systems, data loss prevention, single sign-on and identity management. 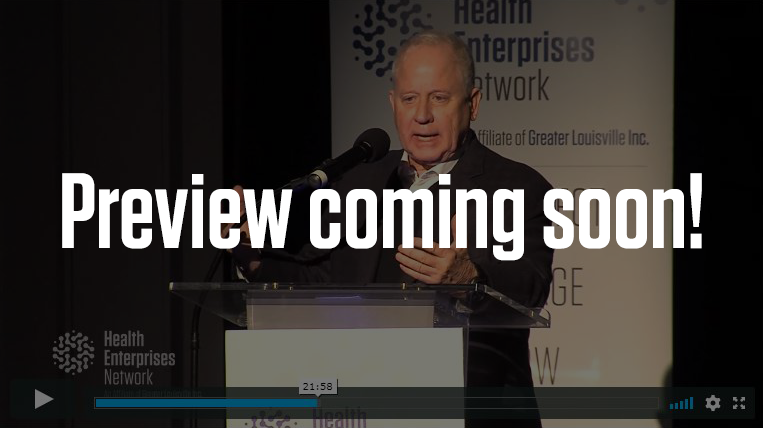 PREVIEW: It’s no secret that Louisville has grabbed the national spotlight as a hotbed for long-term care and aging business. What’s ironic is that not only does the area have the largest concentration of nursing-home and extended-care companies in the nation, it also has the worst environment for these companies in terms of long-term care litigation (as found by an independent 2014 study by AON Risk Solutions). Tort reform, also known as medical malpractice or legal liability reform, has long been a highly contentious issue in the Commonwealth with devout champions on both sides. It’s an issue that goes far beyond nursing homes and affects every healthcare provider and facility in the state. Although attempts have been made to reform the medical malpractice system, none to date have passed both chambers in Kentucky. Medicare has always been vulnerable to fraud and abuse, and Congress has responded with the Federal Ethics in Patient Referrals Act (commonly known as the Stark law) and similar laws that limit how healthcare providers can refer Medicare patients and manage their business. These laws are at the battlefront of curbing Medicare abuse, and enforcement efforts have become more aggressive than ever, with government prosecutors investing substantial resources into prosecutions and securing record-breaking settlements. At the same time, they constrain innovators and often preclude commonsense reform. A great focus has been placed on population health to shape the mandated improvements in providing greater care organization across all care settings and delivery methods, while navigating new reimbursement policies. The keys to success lie in innovation, collaborative approaches, ACO strategies, patient centered medical homes and the integration of technology and data. Population health like you’ve never seen it before, is the focus of a new comprehensive, landmark book, “Population Health,” penned by local and national authors. managing director, health solutions practice, FTI Consulting, Inc.
Named as the top health trend for 2014 by Forbes, telehealth is lauded by its advocates as one way to significantly reduce medical costs. With explosive growth expected in the coming years in the U.S. (telehealth is expected to grow at an annual rate of 56 percent until 2018), telehealth is certain to change much of how we do healthcare. On May 9, Tom Morris MPA, Rob Sprang MBA and Eve Phillips discussed the value proposition from Federal, State and frontline technical applications. Before 2009’s H1N1 pandemic, virtually no pharmacists were administering flu vaccines. Fast forward three years and 5.5 million patients received flu shots in Walgreens’ retail settings alone. According to nationally-renowned Princeton University economist, Uwe Reinhardt PhD (and past HEN speaker), retailers identified a niche “that needed to be filled, and they filled it” with an option, no less, that many consumers find convenient, affordable and accessible. Now in 2013, retail clinics are sprouting up in nearly all major, retail, super-chains from Walgreens, to Wal-Mart. In fact, nearly 30 percent of the U.S. population lives within a 10-minute drive of some type of retail clinic. Adding to the convenience factor and short waiting times are the cost savings to both consumers and health insurers. Blue Cross and Blue Shield of Minnesota noticed such cost savings ($1.2 million) that the company eliminated co-pays for enrollees who used retail clinics. Shortage of primary care physicians and its impact on access to care has also added to the rapid growth of retail clinics. Seventy percent of Americans report that they are unable to get same-day appointments with their primary care physicians while 30 percent lack a regular source of primary care altogether. And the growing shortage doesn’t seem to be letting up with the Association of American Medical Colleges predicting a shortfall of 29,800 primary care physicians by 2015 and 65,800 by 2025. Alan London is the chief medical officer for Take Care Health Systems, Consumer Solutions Group (CSG), providing leadership in building and maintaining external physician and health system relationships for Healthcare Clinic at select Walgreens. Geoffrey M. Rappaport was the co-founder and president of the highly successful hair cutting enterprise SUPERCUTS (founded in 1975) until it was sold by the founders in 1987. In 2002, Mr. Rappaport founded SUPERTEETH in Warren, Michigan. SUPERTEETH is a unique branded approach to primary care dentistry and oral health. Jamie M. Ware is the policy director for the Convenient Care Association (CCA), the national trade association of over 1,450 private-sector retail clinics. The Health Enterprises Network (HEN), in partnership with Hall Render Killian Heath & Lyman, PSC, presented the next installment of the Healthcare Spotlight Series’ Quality and the Bottomline entitled Evidence-Based Design with Craig Zimring, an environmental psychologist and professor of architecture and psychology at Georgia Tech. The event, was held at Office Environment Company, on September 5 from 7:30 to 9:30 a.m.
One of the latest buzzwords in healthcare reform, population health management or PHM, is aiming to shift the focus in healthcare from rewarding quantity to rewarding quality and from clamoring for volume to obtaining value. Defined as the discipline of managing the clinical and financial risks of a defined group of individuals, population health programs are on the rise as more companies build partnerships and share responsibility for patient outcomes and satisfaction, data collection and analysis, member education and engagement and at-risk populations. The U.S. Congress serves as the voice of the American people. Through legislative debate and compromise, it creates laws that influence our lives on a daily basis. The first Healthcare Spotlight of 2013 gave attendees a rare opportunity to hear about the inner workings of Capitol Hill as seen by DC Insiders, John Williams III and Andrew Coats. Currently attorneys at Hall, Render, Killian, Heath & Lyman, P.C., both Mr. Williams and Mr. Coats have worked closely in a variety of posts on Capitol Hill. Mr. Williams was the former press secretary for the House Committee on government reform and oversight and was a member of the senior communications staff committee during one of the most interesting periods of recent legislative history – the impeachment proceedings of President Bill Clinton in the House of Representatives. Mr. Coats, with a decade of legislative and legal experience, has worked in the Bush Administration, on Capitol Hill and as a Legislative Assistant to Rep. Mark Souder of Indiana. Moreover, he has written and advocated for numerous bills and amendments. Together, Mr. Williams and Mr. Coats offered a must-see, kick-off event for the year in healthcare. In addition to serving as Press Secretary for the House Committee on government reform and oversight and a member of the senior communications staff committee, Mr. Williams also served as the Chairman’s advisor on domestic policy matters ranging from annual appropriations and budget issues to health care, social security reform and transportation funding. Mr. Williams completed his undergraduate studies at Embry-Riddle Aeronautical University and earned his law degree at George Mason University School of Law. In his role as senior director of worldwide health at Microsoft, Dr. Bill Crounse travels the globe to help developers, clinicians, health executives, government leaders and others understand the real impact of information technology and software solutions in health and healthcare. From enterprise applications for care team collaboration, to hands-free navigation of images in the operating room, and from health-themed games on a smartphone to virtual consultations in the living room, Dr. Crounse views information communication technology as an essential way to improve the access, cost, and quality of care as well as the satisfaction of those providing and receiving it. During this event, Dr. Crounse took attendees on an exciting and deeply personal journey showing how software and information technology are improving the delivery of health information and medical services around the world. Responsible for providing thought leadership, vision, and strategy for Microsoft technologies and solutions in the healthcare provider industry, Dr. Crounse travels nationally and internationally to evangelize the use of information technology as a way to improve care quality and safety and the satisfaction of those who provide and receive it. • The sharing of data between healthcare providers is right around the corner. How do we begin the evolution? A viable, not to mention classic approach to any information systems problem, is INPUT – PROCESS – OUTPUT; it follows chronology and is a time-tested way to approach a data problem. Each step of the process has a technical component, a process component, a legal component as well as a policy side. Benjamin Franklin famously stated “In this world nothing can be said to be certain, except death and taxes.” Although it is true that eventually everyone will die, the way it plays out is much more uncertain. Costs associated with the end of life are staggering with some studies finding that between 20 and 30 percent have no meaningful medical impact. As the topic of health reform is central to our daily lives, the tangential ethical and financial issues surrounding death and dying are also up for rigorous debate. These issues go deeper than money and will perhaps be some of the most complex that our nation faces.